For all women in India, what is happening in Kerala should be an eye-opener. This is how Indian society rewards you for reaching the top, aspiring seriously to be on top, and actually asking questions to authorities about why they keep drawing on women’s energies and resources while simultaneously undermining the very ground on which they survive. In Kerala, two things are going on: there is on the one hand, a vicious gang led by Rahul Easwar which is openly threatening women who would dare to enter Sabarimala with the worst kinds of violence, on the other, the horrid misogyny of the press was revealed at the press conference held by the Women in Cinema Collective who expressed their deep disquiet at the way in which the organization of cinema actors, AMMA, and its president Mohanlal, were eager to protect oppressors and ignore survivors. Also, even male intellectuals who have been very supportive of feminist and gender justices causes have been named in the MeToo campaign among journalists in Kerala. Kerala is a society where, in the past twenty years, we have seen women come up everywhere — in journalism, literature, academics, cinema, architecture, engineering, art, management, sports, trade unionism, activism. Women in Kerala have been the force of social democratizing as evident from the struggles ranging from the Munnar tea garden workers’ struggle to the brave nuns protesting against sexual violence. For sure, a very large number of women in Kerala are ultra-conservative, and that is apparent both in their presence in the muck that Easwar and his gang are raking up in Kerala, as well as in the shameless way in which some of them were emboldened to hurl caste insults at the Chief Minister of Kerala. This is therefore reminiscent not so much of the Battle of Britain in World War II, but for the Battle of Stalingrad — which was heavily bombed by the Luftwaffe, even as there was hand-to-hand combat on the ground for control of the tiniest slices of the city, and where the city residents were often subject to the terrors of both the Nazi and the Soviet sides alike. If you want to see male hubris overflowing, please take a look at this video, of https://www.facebook.com/plugins/video.php?href=https%3A%2F%2Fwww.facebook.com%2FWomeninCinemaCollectiveOfficial%2Fvideos%2F249328929064857%2F&show_text=0&width=267“>the press conference held by the Women in Cinema collective. All I can tell us all is, Keep Calm and Carry on. After all, unlike in the World War II, the ammunition of these creeps need not hurt us at all; it can make it only more powerful. The almost insoluble task is to let neither the power of others, not our own powerlessness, stupefy us. 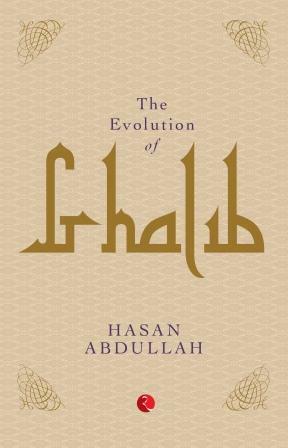 Ghalib has fascinated generations of people and they have tried to understand/ interpret his poetry in their own way. For any such individual it is really difficult to recollect when and how Ghalib entered her/ his life and ensconced himself comfortably in one’s heart. This wanderer still faintly remembers how many of Ghalib’s shers were part of common parlance even in an area whose lingua franca is not Hindustani. His andaaz-e-bayaan, his hazaron khwahishein, his making fun of the priest etc. could be discerned in people’s exchanges – without most of them even knowing that they were quoting the great poet. BJP, In Search Of An Icon: Is Deendayal Upadhyay Party’s Mahatma Gandhi? 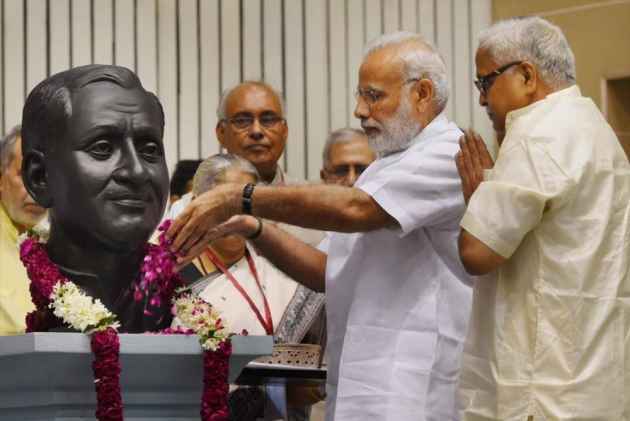 Come September 25 and the capital would see the culmination of the year-long birth centenary celebrations of Bharatiya Jana Sangh leader Pandit Deendayal Upadhayay . The year gone by had witnessed flurry of activities around Deendayal Upadhyay supposedly to project him as one of the ‘makers of modern India’. Exactly a year ago Prime Minister Modi had shared a piece of his mind at a public meeting in Kozhikode wherein he had specifically put Deendayal Upadhyaya in the same category as Mahatma Gandhi and Lohia who had “[i]nfluenced and shaped Indian political thought in the last century”. Last evening’s (June 28th) spirited protest at Jantar Mantar, New Delhi, under the banner of Not In My Name, was an autonomous citizens protest against the recent spate of targeted lynchings of Muslims in India – the most recent of 16 year old Junaid, stabbed to death on 23 June 2017 in Delhi (NCR). For an audience that was estimated to be 3500 strong, the torrential downpour at a little past 8 pm may have rained out a part of the programme. But something remarkable had already been achieved: the evening had washed away, even if temporarily, an almost overwhelming sense of despondency, of hopelessness, and of fear. Since the Not In My Name protest had announced that the platform was not meant for political parties, and their banners and slogans, the stage saw the marked absence of the speeches (and faces) of routine protest meetings at Jantar Mantar. Rhetoric was displaced by feeling, and it was left to the poets and musicians to carry the sharp political messages of the day. On an evening that was often very emotional, the most difficult moments came when a group of young men from Junaid and Pehlu Khan’s extended families (and residents from their respective villages) came on stage and spoke to the audience. When the call for a protest meeting went out last Sunday we were hoping that a few hundred people would gather to express their outrage at what is happening around us. For the attacks on Muslims are part of a pattern of incidents that targets Dalits, Adivasis, and other disadvantaged and minority groups across the country. In almost all these incidents the possibilities of justice seem remote, as the families of the victims are dragged into procedures they are ill-equipped to handle. Through all these heinous crimes the Government has maintained a silence, a gesture that is being read as the acquiescence of all Indians. Not In My Name aimed to break that silence. But the scale and spirit of the protest meeting at Jantar Mantar became amplified many times over, as similar gatherings were spontaneously announced all over the country. As word spread through social media, groups in 19 other locations announced Not In My Name protests, and this phenomenal synergy inevitably drew media attention to all the events, and gave the protest a solidarity and scale that was truly unprecedented – there were at least 4 protests in cities abroad too. (And more protests have been announced for later this week…) The protest meeting ran on the shoulders of a group of volunteers who managed to put together everything in less than four days. No funds were received (or solicited) for the expenses from any political party, NGO, or institution. Instead volunteers worked the crowd and our donation boxes received everything – from Rs 10 coins to currency notes of Rs 2000, and everything in between. The impact of the Not In My Name protest at Jantar Mantar yesterday only points to the importance of a focused politics to deal with the crisis this country seems to be enveloped by. Less than a day after the protests Prime Minister Modi broke his silence on the matter of lynchings. It could not have been a coincidence: speaking in Ahmedabad he said killing in the name of gau bhakti is unacceptable. But to protect the life of a 16 year old being brutalised in a train needs more than a tweet, and we all wait and watch. This fight has just begun. In the days to come the exceptional solidarity attracted by the protest in New Delhi will have to become less exceptional, and more everyday. Sanjay Kak is a filmmaker and writer based in Delhi. The #NotinMyName protests, which began in a response to a Facebook post uploaded by Delhi filmmaker Saba Dewan, have since taken place in more than twelve cities in India, and also in the UK, USA and Pakistan. More protests, under the #NotinMyName tag, as well as independently of it are being planned by citizens groups, organizations and individuals in many places. Tomorrow, July 2nd, 2017 will see a sit in at Jantar Mantar from 11 in the morning, at Jantar Mantar, New Delhi called by families, individuals and panchayats from Nuh, Ballabhgarh and Faridabad, they will be joined by students, activists and other individuals.